Although Epix’s Pennyworth is slated to premiere just three months from now, the casting process is apparently still not finished. Via Deadline, Emma Paetz and Jessica Ellerby have signed on to play key roles on the upcoming Batman prequel series. 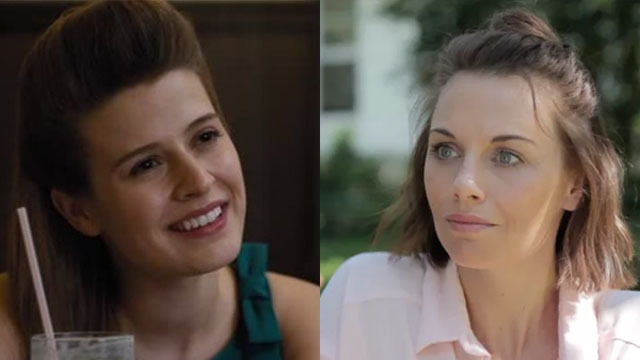 Paetz (pictured above, left) doesn’t have many screen credits to her name, but she appeared in 2015’s Final Girl and 2018’s Juliet, Naked. She will also have a recurring role on the new HBO series Gentleman Jack, which premieres in April. Ellerby (pictured above, right) has a more robust resume with roles on British sitcoms like Living the Dream, Lovesick, and Benidorm. Paetz will be a series regular on Pennyworth as Martha Kane, the eventual wife of Thomas Wayne and future mother of Bruce. It’s not clear if Martha and Thomas will already be in a relationship or if the show will depict the characters meeting for the first time. However, we do know that the series portrays Alfred as an ex-British SAS agent who works for Thomas in London. Meanwhile, Ellerby will occasionally pop up on the show as the Queen. Deadline doesn’t specify if she’s playing the Queen of England or some sort of vigilante who operates under the codename “The Queen.” The actress’ IMDb page lists her as Queen Elizabeth, but it’s better to take that with a grain of salt. Jack Bannon is headlining the series as Alfred with Ben Aldridge co-starring as Thomas Wayne. Joining them on the series are Paloma Faith as Bet Sykes, Jason Flemyng as Lord Harwood, Ryan Fletcher as Dave Boy, and Hainsley Lloyd Bennett as Bazza. What are your thoughts on Emma Paetz and Jessica Ellerby joining the cast of Pennyworth? Give us your impressions in the comment section below!